The World Cup 2018 in Russia seems to be on everyone’s minds right now, filling up the daily feeds of serious news portals, online forums, and even meme boards. If you too have joined the craze and want to grab some bonus money while enjoying the largest event in soccer this year, we have a few Bitcoin casino promotions to help you do just that. From custom live dealer games to weekly cash prizes and big bonuses for the finals, there are rewards to suit any punter’s taste. Thanks to Fortune Jack Casino, now you can combine a month of great soccer with a month of great bonus prizes. Namely, the casino is launching a new €8,000 slot competition for its players that will span from June 15th to the 15th of July. Inspired by the World Cup, this new promo offer will be played out in 5 group stages of one week each. 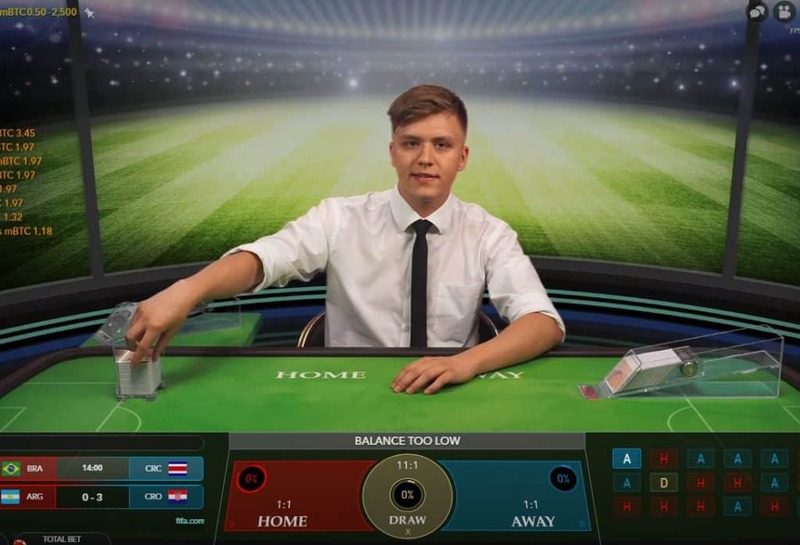 At the centre of the promotion is iSoftBet’s recent 243-ways slot Hot Shots, which was specially released in time for the event and features animal mascots dressed in shirts of various national teams. This slot machine will be paired with a different iSoftBet top-ranking slot every week to give players more than one way of winning prizes. The final leg of the competition is a €3,000 prize raffle which will take place after the tournament. To qualify for the prize raffle, you will need to play the Hot Shots only and wager €20 on the game during any leg. For each €20 wagered, you’ll get 1 ticket for the tournament. The more tickets, the better you chances of winning some of the prizes. For more details about the competition and a look inside the leader-board, visit Fortune Jack Casino by following this link. For something a tad more different than a slot machine, you can also try out Bitcasino’s new live Football Studio card game. This game was exclusively developed for the World Cup 2018 by Evolution Live Gaming and Bitcasino is one of the rare Bitcoin casino operators to offer it. Hosted by smart-looking dealers on a table felt that’s painted like a soccer field, this game is a great way to make a quick and easy buck during the cup. The Football Studio is a very fast-paced game of Top Card. The dealer deals two new cards every 25 seconds and the objective is to guess which card (Home or Away) will be the top card, but also whether the “match” will end in a draw. The cards are drawn from an eight-deck shoe with the jokers removed and payouts are an even 1:1 for the home/away bets and 11:1 for the draw bet. Bet sizes start at 0.50 mBTC and they can go up to 2,500 mBTC. If you’re interested in trying your hand at the game or just seeing it in action, feel free to pay Bitcasino a visit. This website is for information purposes only. Check your jurisdiction to be sure that sites and games are allowed in your country and that you are old enough. Play responsibly.